Magic, danger, surprises and dazzling colour artwork! Gulliver’s fantastical world has never looked so stunning. “My name is Gulliver, and I have a tale to tell that will make your hair stand up and your mouth hang open.” Does that sound good to you? Great! When Gulliver is shipwrecked on a remote island, he gets a BIG shock to find that he’s a total GIANT there. How will he cope in Lilliput – a world of tiny people? Should he move to a land of giants instead? Might that be more his style? 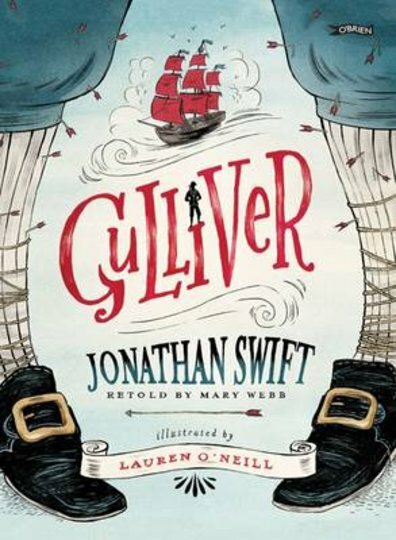 Follow every twist and turn of Gulliver’s wild adventures in this funny classic – a thrilling treat however big or small you are.